This Site Build It! Review is about my own personal experiences with SBI! since 2004. I could never have built a website without SBI! - I tried quite a few times, but it was all so confusing. I had no idea what Parent Directories were or how to use a WYSIWYG. I first came across Ken Evoy when I read one of his articles about writing for websites. I followed the links and read about how I could build a website. I really wanted to build one. 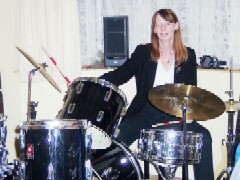 I was a gigging musician at the time, and wasn't earning enough money plus I wasn't working all the time, so wanted to do something else as well. A lot of my musician friends were earning money on the internet, but mostly they were selling things. Multi-Level Marketing sort of things, where they just promoted a product and the people they promoted it to promoted it and so on down the chain. That was a way that a lot of people earned money online, but it wasn't for me - it was a con and there's no way I could have had done that. I did look before, when I didn't understand what it was all about. But as soon as I understood, I didn't want to touch them. There's some fake SBI! Reviews going around at the moment - a system called Wealthy Affiliate who claim they are website builders are saying that their product is equal to or better than SBI!. It's not. They are the old-fashioned Multi-Level Marketing type model, which to be honest, I thought didn't exist any longer. They're telling their Affiliates to build a website, giving them the tools and support but what they're saying, is if you can't think of a topic, then build a website reviewing and selling WA - they do that by getting the affiliate to write pages of reviews, criticising others. Where SBI! differs and does so much better, is that you're taught to build an online business - a much quicker job than building a bricks and mortar business, less exposure to financial risk - it can all be done for $299 a year investment. Amongst our people, we have a really wide, diverse range of topics. Can you imagine what a dentist, a quilter, a scrap booker, a teacher, a midwife, a doctor, travel writer, a craft maker, a wedding cake maker and a gardener all have in common? They are linked by their online SBI! businesses. This link takes you to a list of the top 500 sites - see if there's anything there that surprises you. These sites are just a few of the really successful businesses run by SBI!ers. The Alexa figure is a basic classification of a site's ranking on the internet. There are 17,000,000,000 (or thereabouts!) active sites on the internet. That figure's growing every day of course. There are more than 500 sites with a ranking of less than 900,000 - can you imagine that? This site used to be there, around 450,000 a few years ago. My fault, I've been busy doing other things and the ranking has slipped - down to 3,000,000 - which is still pretty good! My other site, www.the-herb-guide.com is in the region of 4,000,000 - again both in the top 2% of sites, but those 500 are in the top half percent! What would you build your business on? What topic would you choose? Solo Build It (the SBI! stands for 'Solo' or 'Site') will guide you through the steps you have to take. It's not an overnight success - you'll have to work on it. It's a business and can take as much time as you need to build it. There are fantastic forums where you can get all the help you need - Support is very good and you'll get an answer to any questions you have within a very short time. The Action Guide you follow to build is very comprehensive - it gives step by step instructions with videos if you're a better visual learner. The first five steps (they're broken into days, but a 'day' can take a short time or much longer) are all tailored to ensure you pick the right topic for you which will be profitable. If your topic is very broad, it will help you narrow down to find a winnable but profitable niche within it. So for instance, if you're an avid gardener, you'd find it really hard to get to the top with such a broad topic, so you'd be walked through the steps to find a narrower niche within that - like vegetable gardening or herb gardening. 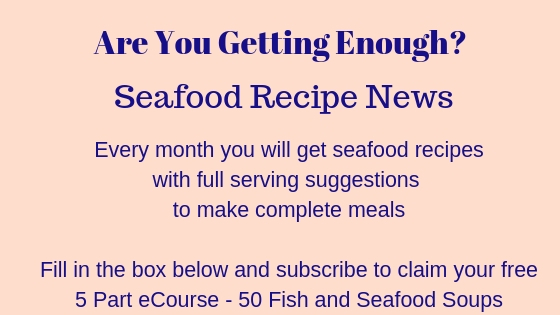 If you like cooking, you'd be helped to find a narrow niche - maybe like seafood recipes? I've learned so much - how to make YouTube videos is my current project. I couldn't have done any of it without Solo Build It!.